Many, many (many) years ago Head Chef Patrick was rushing to school when he remembered it was ‘home economics’ day. In his haste he grabbed the only things he could find: a tin of baked beans and a bag of wholemeal flour. His speciality that day was baked beans on homemade chapatis. 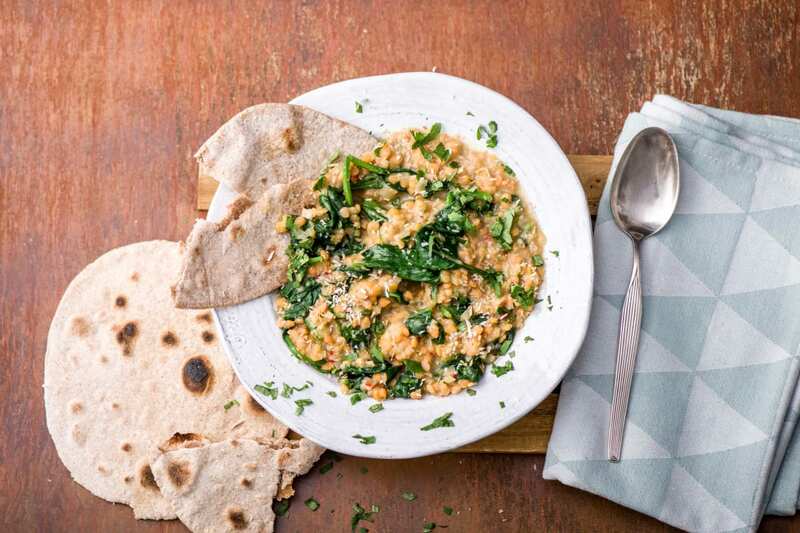 We’re glad to say he’s increased his repertoire since then and tonight’s coconut dal is an absolute stonker! Put all but 2 tbsp of the flour into a high sided bowl with a good pinch of salt. Tip: You need 2 tbsp to dust your work surface later. Very gradually add the water (amount specified in the ingredient list) into your flour whilst you mix it with your hands. Keep mixing and adding until you have a soft (not soggy!) dough. Sprinkle the remaining flour onto your work surface and coat your dough in a drizzle of olive oil. 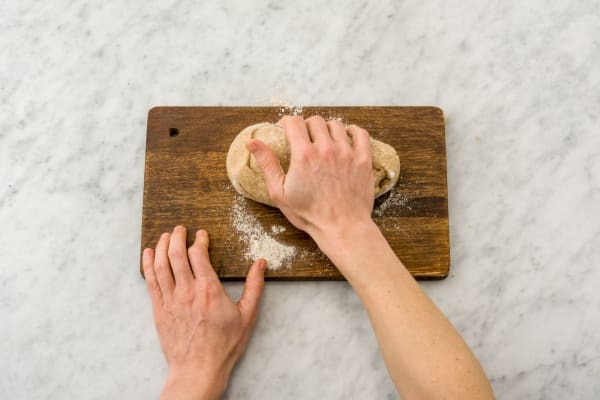 Knead your dough by pushing it away from you on the work surface. Form it back into a ball and then push it away again. Once you’ve pummelled it for 5 mins, leave it to rest. In a medium-sized pot, boil the water (amount specified in the ingredient list) and add the vegetable stock pot. Rinse the lentils under running water for at least 30 seconds (important for improving flavour!). 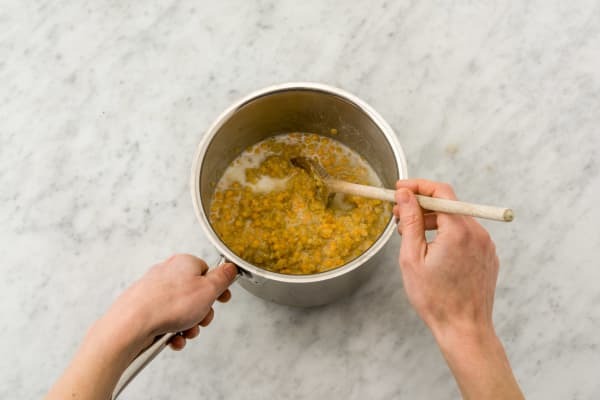 Pour your lentils into the boiling stock and reduce to a gentle simmer. Cook for 10 mins before adding the coconut milk. Cook for a further 5 mins then turn off the heat. To make the dal, peel and very finely chop the garlic and onion. Peel the skin from the ginger using the edge of a spoon and then chop it finely. Cut the red chilli in half lengthways, remove the seeds and finely chop. Heat a splash of olive oil in a frying pan on medium heat and add your onion, kale and a splash of water. Steam fry until your veggies have softened, 4-5 mins, then add your garlic, ginger and as much chilli as you dare. Cook for a couple of mins and then stir in the curry powder. 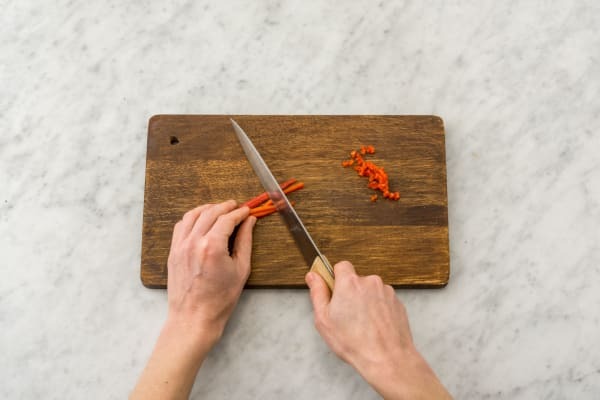 Tip: You can check the heat of the chilli by touching your finger to your tongue after chopping it. When your lentils are ready, add them to your kale mixture and stir together. Taste and add more salt and pepper if needed. 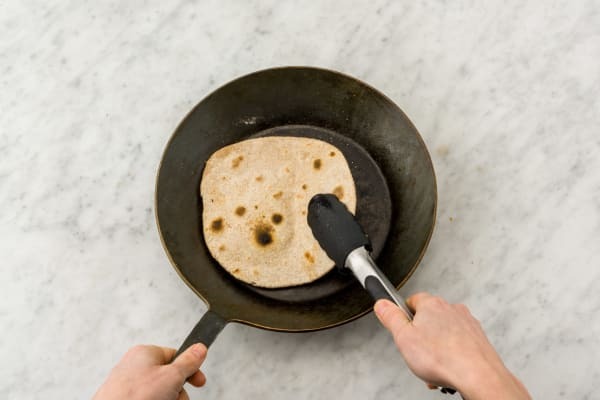 Finally, divide your dough into equal balls (2 per person) and roll out your chapatis until they are about ½ cm thick and as large as a big hand. Tip: If you don’t have a rolling pin you can use a wine bottle or even a tin can! Place them individually in a searing hot frying pan (without oil!) and cook on both sides until you see little dark brown spots form. Once your chapatis are done, remove and plate and then toast the desiccated coconut in the same hot pan. Chop up a bit of coriander and stir it through your dal. Scatter over some more coriander and your desiccated coconut before scooping it up with your chapatis!